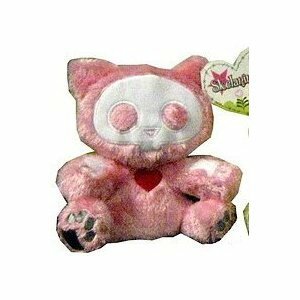 Cute, Dark & Cuddly Skelanimals Kit the Cat Plush Pink Toy with tag and label for a gift recipient. Great gift for the Skelanimals collector! Valentine's Day or Easter Gift!